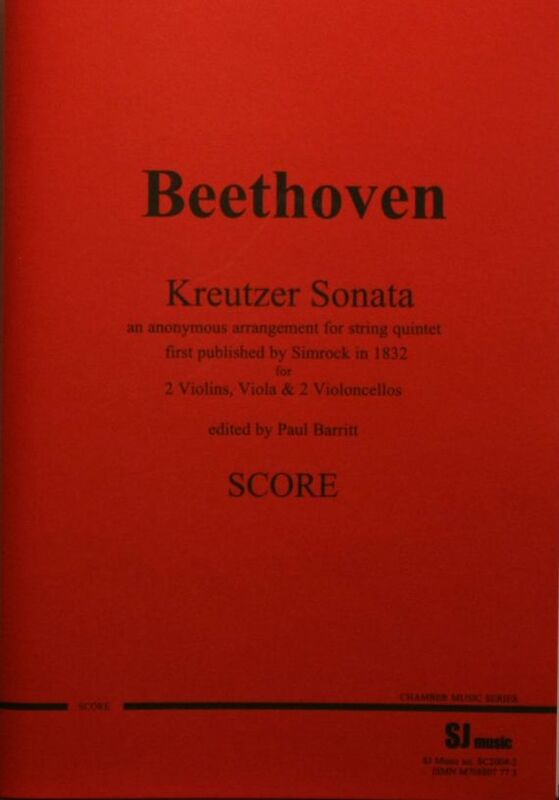 This is a wonderful string quintet (normal string quartet plus one cello) arrangement of Beethoven’s well known Kreutzer sonata for violin and piano. It has interesting and sometimes challenging parts for all players. The arranger is anonymous, and the work was originally published in 1832.